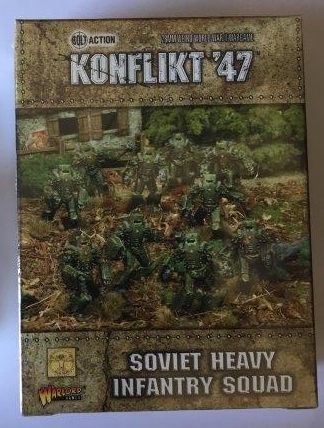 Today I'll take a quick look at the Soviet Heavy infantry. I almost bought the taster set of these guys, but once I saw the full set on sale I had to get a box! The ten man box is enough for 2x 5 man squads or 1x 10 man squad. At 140pts for 5 these guys arent cheap to field, but with 5 special rules and the dual weapon pack with AT rifle or SMG modes make them very useful! A nice set with 5 pairs of poses and a multitude of arms to attached means there is some flexibility with poses. 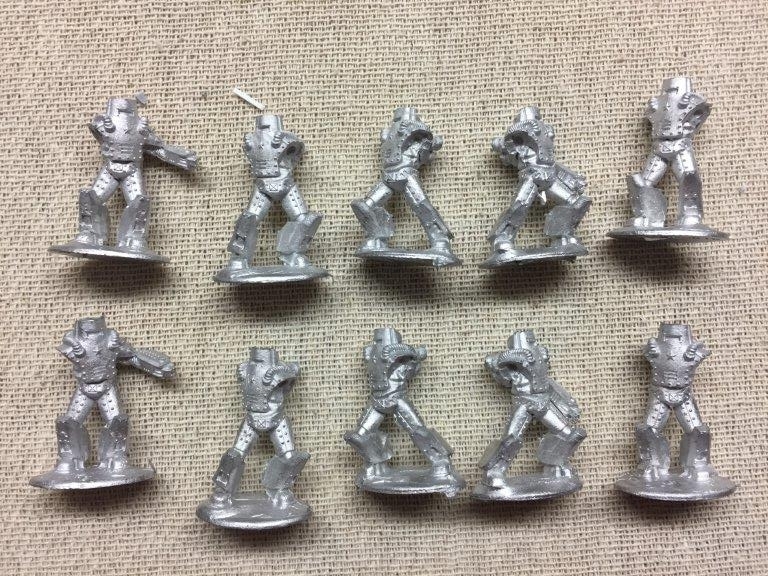 There are 4 models (2 pairs) with static left arms - suitable to add custom assault weapons I guess - and the rest are paired dual weapon packs. 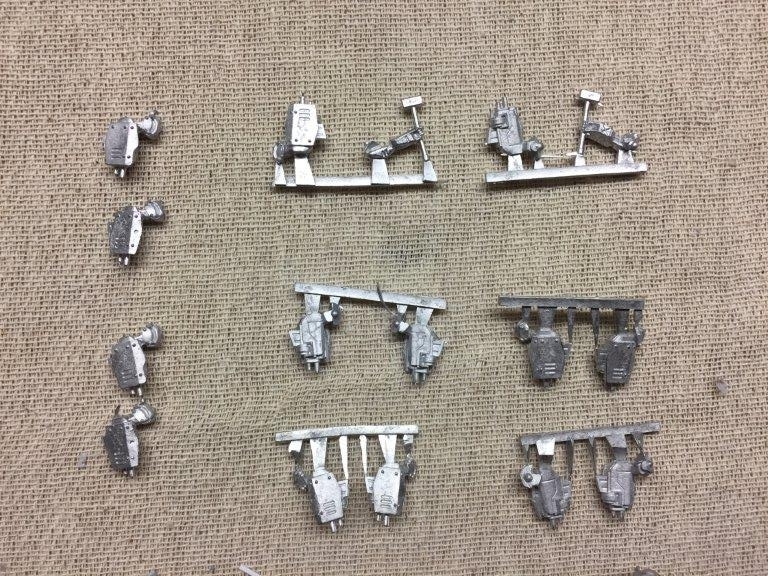 The detail on the weapon packs and the bodies themselves is very clean, and the rivets are going to make drybrushing and detailing much easier. I love the rust effect used on Warlords' own paint scheme -> watch this space! Thought for the Day: "Ни шагу назад!" No post today, but we do have a new video showing our unboxing of the Pz IV-X from Warlord Games! ...and since we filmed it, Brother Handro even built it! Thought for the day: "Place your trust in the Emperor's steel"
Another review for you guys, and yet more from my recent purchases from Warlord Games! This time we have the Soviet Terror Squad. This set gives 5 metal models - the appropriate size for a unit, funnily enough! They come with a nice set of knives and assault rifles/SMGs. The knives do actually look sharp - something even GW struggles with (Brother Handro: "Good old butter knives"). A nice kit, and a steal when on sale - I'll get these guys built this week and added to the shelves of grey! The story for these guys is that they have a form of anti-freeze in their veins and are immune to both cold and fire. They're also fanatics and fast on table top, so for 65 pts you're getting A LOT of fun! Thought for the day: "The keenest blade is righteous hatred." The start of a late-war/Konflikt '47 Armoured platoon. Huzzah! More things bought! Wait, what do you mean that wasn't the point of the blog? Welp, I did it anyway. I've always harboured thoughts of doing the British (more accurately Commonwealth) forces in Bolt Action, and doing it for Konflikt '47, and Tank War killed three birds with one stone. Armies of Great Britain book, (plus exclusive Captain Upham model), British Army Command, Universal Carrier Section, Allied Grizzly Walker and 3 paints pertaining to the British scheme. The main bulk of the tank force has yet to arrive so watch this space! A Universal Carrier, minus all the gubbinz just waiting to be piled on. Carriers are quite diddy! (Panthers are also really big. Like bigger-than-Tiger-big).